This direct drive extruder uses a Mk7 Drive gear directly driven by the powerful 5.5 kg torque Nema 17 Stepper Motor and hence ensures greater print quality. 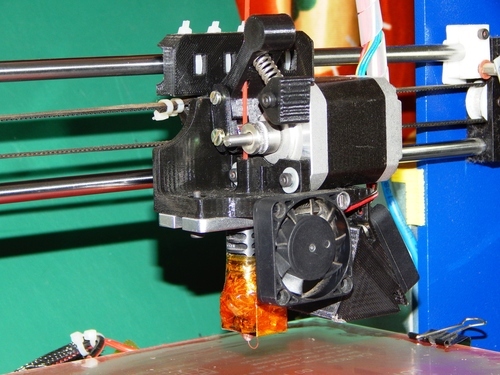 Simply press the lever on top of the extruder and pull the filament out of hotend. This greatly reduces the chances of filament jamming or breakage during retraction. b. Metal plate for mounting Original J head or All metal hotend. a. Fan, hotend and X carriage is not included in this kit. b. This extruder fits the prusa i3 X carriage used by us in our printers.